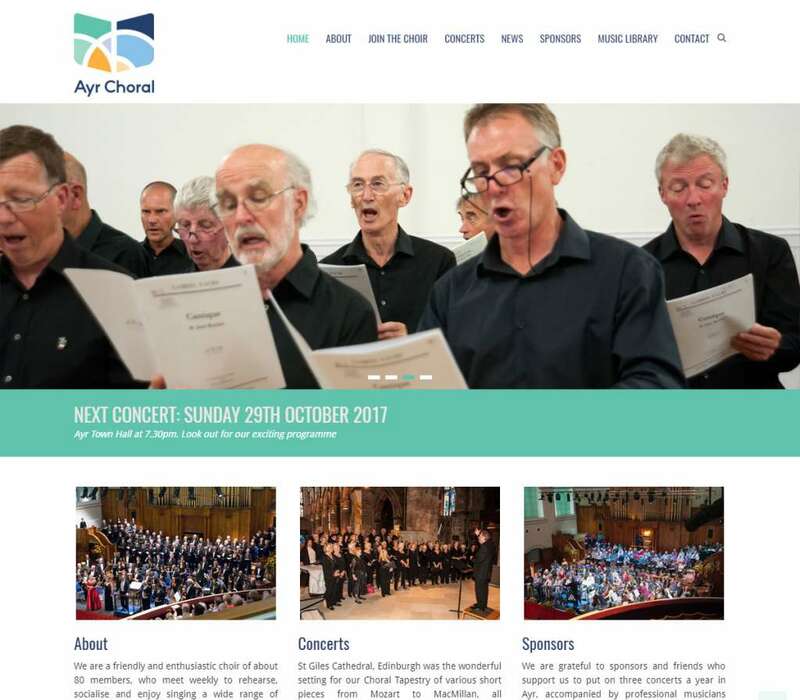 Ayr Choral Union is an Ayrshire institution with over 140 years of history and we were delighted to be entrusted with designing a new website for the organisation which would act as both a showcase for the choir’s activities and a central point of contact and source of information. As experts in website design for clubs and organisations, we were keen to produce an attractive, effective but cost-effective solution. The website design took the colours and style of their new logo design as its inspiration and was developed with a restrained colour palette and tasteful layout to continue this complementary style throughout the site. In addition to pleasing visual appearance, the site was also designed with ease of use and simplicity of updating in mind. Based on WordPress, the site is therefore flexible, easy to maintain and simple for visitors to find information about the choir. Please view the finished result here ayrchoralunion.net and contact us if you’d like to find out more about web design for your club or organisation.